There are many reasons why Americans might relocate to the land down under – including increased work opportunities, a better quality of life, a great school system and a more laid back environment in which to raise a family. The fact that Australia and the USA share a language and that Australia is currently experiencing economic prosperity also factor positively into this decision. Compared to the USA, Australia has a much lower population density and most of the residents are gathered around the coast. There are a few medium to large cities, such as Sydney, Melbourne, Brisbane and Adelaide, but outside of these large centres most towns are small and remote. This means plenty of beautiful nature and great outdoors to explore and more opportunities to have an active lifestyle. 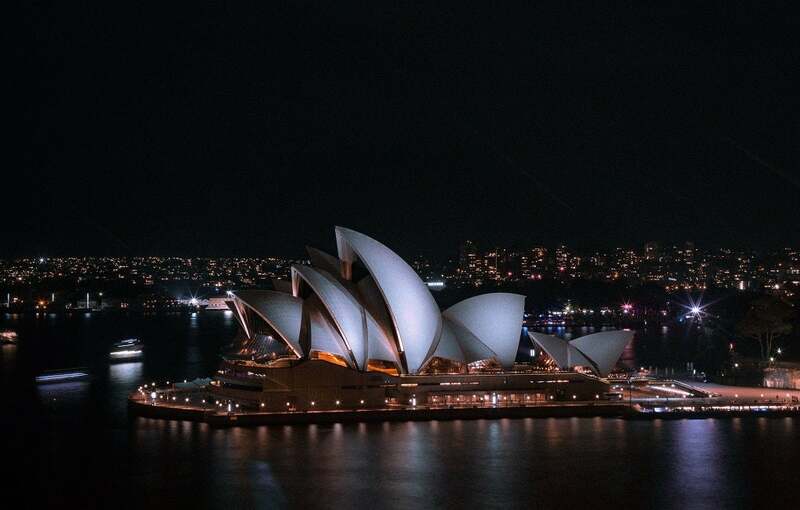 If you’re considering a move to Sydney, you’ll find lots of similarities with New York – particularly as it’s the big glittering financial and cultural center of Australia. The Sydney Harbour and Central Business District (CBD) are a bustling Manhattan, filled with iconic landmarks next to water, world class museums and restaurants and business people in suits drinking after-work cocktails. Melbourne could be compared to San Francisco, as it is filled with artsy hipsters, coffee shops, street art and historic trams. The Gold Coast might remind you of Miami, with its glamorous hotels, great nightclubs, perpetual sunshine and fantastic beaches. Darwin in the Northern Territory is similar to Louisiana, with its swamps, bushland and crocodiles. Byron Bay feels a lot like San Diego, California – a chilled out beachside town filled with smiling young surfers. Becoming an Australian citizen is a complex process. Firstly, you’ll need to become a permanent resident, be of good character and intend to live in Australia. You will need to take an Australian citizenship test, and you will need to have been living in Australia on a valid visa for four years before applying. You will need to complete the paperwork and provide information about your background, such as details of your family members, any prior convictions, work history and much more. It is also required that you pledge an oath to uphold and obey the laws of Australia. How much does it cost? The Australian Government Department of Immigration and Border Protection provides a visa cost estimator. You can enter your details and the type of visa you are applying for and it will estimate the cost of your application based on these factors. If you become an Australian citizen via an automatic process, such as through marriage, then you will likely not lose your US citizenship. However, you may use your US citizenship if you voluntarily apply for Australian citizenship. If you choose to renounce your US citizenship, the fee is currently $2,350 USD. Australia offers a relatively strong economy to draw American workers. During the 2000s and 2010s Australia’s economy has grown faster than the USA. According to medium.com, the demographic of US immigration to Australia that grew the most from 2001 to 2011 was women in their 20s. This is due to the abundance of knowledge-economy jobs for well educated American women, as well as a culture of women’s rights and positive study abroad experiences. Some of the other thriving sectors in Australia at the moment include anything connected to the health of the ageing population (carers, nurses, physiotherapists, etc), meat and food processing, tourism, finance and private schools. Even when you consider the higher wages, Australia’s house prices are quite high compared to other countries. This is likely because Australia offers such a gorgeous climate and desirable lifestyle. Sydney has the most expensive house prices, with an average of $852,000. The average cost of a one bedroom city centre apartment is $1,340 US in Australia and $1,183 US in America, making rent in the US approximately 11% cheaper on average. Of course, this depends significantly on the location and amenities of the apartment. Education in Australia is compulsory between the ages of six and sixteen and is divided into Primary School (kindergarten to grade 6 or 7), Secondary School (grade 7-8 to 10) and Senior Secondary School (grade 11-12). From that point, young people have the option to continue with higher education such as university or vocational education and training. Australia came in first on the United Nation’s Education Index which looks at the number of years of schooling each person can expect to obtain in their lifetime. While in Australia you’ll have the chance to try out some of the local dishes, such as Kangaroo and Crocodile. Also, try the snacks such as Vegemite on toast, Tim Tams (chocolate biscuits) and meat pies. Australia also has a wonderfully diverse population, which means that you’ll have the chance to enjoy lots of other cuisines such as Chinese, Thai, Lebanese, Greek, Japanese and Italian. Australians tend to dine out regularly and in most towns and cities there is a wide selection of restaurants, cafes and pubs. Australia has a diverse and vast array of nightlife options. You’ll find a wide range of bars, pubs and nightclubs in the large cities such as Melbourne, Perth and Sydney – from welcoming and laid back pubs to glamorous cocktail lounges to booming clubs with huge dance floors. Australians love their beer and a wide range of beers are available in local pubs. Also, try to get invited to an Aussie barbeque as this is an idyllic experience – relaxing and enjoying beers in the sunshine. Try a One Fifty Lashes Pale Ale from James Squire, or Monteith’s Summer Ale. Some of the best LGBT nightlife stops in Australia are in Sydney and Melbourne. Canberra, Brisbane and Perth also have a small but vibrant gay community. Gay Pride takes place in Sydney throughout February and March and in Melbourne in January. With gorgeous national parks, vast areas of unspoiled wilderness, cities alive with culture, art and cuisine, a top notch school system and plenty of economic and employment opportunities – Australia has some of the best places to live in as an American expat. A life Down Under promises plenty of sunshine, as well as much more.